Diabetes is a major healthcare challenge nationwide, affecting nearly 10% of Americans. 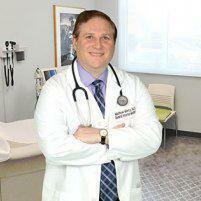 Dr. Matthew Mintz has extensive experience in the management of diabetes, including research and publications. He will work with you to personalize a regimen that can help you lose weight, prevent hypoglycemia and in most cases, and avoid the use of insulin. Dr. Mintz will help you work toward eliminating checking your sugar daily and help you keep medication costs down. Dr. Mintz, located in Bethesda, Maryland, is your ideal partner in diabetes care and management. Dr. Mintz welcomes all patients from Bethesda, Potomac, Rockville, Chevy Chase, and the surrounding areas of Washington D.C. and Virginia. Diabetes is a group of conditions, each involving an irregularity in the way the body builds up an excess of glucose in the blood. The chronic types of diabetes, types 1 and 2, are perhaps best known. Prediabetes and gestational diabetes are sometimes temporary and reversible. Gestational diabetes often resolves after your baby is born, while prediabetes may respond well to treatment and lifestyle changes. Blood glucose is the fuel the body uses to function. Glucose isn’t, on its own, the root of the diabetes problem. For that, we look to insulin and the role it plays, which is that of a gatekeeper. When your cells need energy, insulin is the hormone that gives the signal for glucose to enter your cells. How are the types of diabetes different? Type 1 diabetes is an autoimmune disorder, since the immune system destroys the cells that make insulin, leaving you with little to no natural production. No insulin means no glucose is getting into your cells. If you have prediabetes or type 2 diabetes, your body makes insulin, but your cells become resistant to its effects, essentially saying, “no” to the glucose absorption message. In response, your cells need more insulin to overcome this resistance, enough that the pancreas can’t keep up. Gestational diabetes includes insulin resistance as well, but this is due to hormones made by the placenta during pregnancy. Drug treatment for diabetes includes additional insulin to replace or supplement natural insulin production. Other drugs can stimulate the pancreas into making more insulin, change the way your body releases glucose into the blood, or make your cells less resistant to insulin. While not necessarily the cause of prediabetes or type 2 diabetes, obesity can be a complicating factor. Carrying extra weight complicates the symptoms of diabetes and contributes to other complications of the disease. Changes to lifestyle, including healthy eating and increased physical activity, are one of the best strategies to assist diabetes treatment and avoid its complications. Dr. Mintz offers his own, medically supervised, weight management program that’s an ideal addition to your diabetes management plan. Role of the Kidney in Type 2 Diabetes and Mechanism of Action of Sodium Glucose Cotransporter-2 Inhibitors. Saxagliptin versus glipizide as add-on therapy to metformin: assessment of hypoglycemia.